Avant layoffs 7.5% , targets profitability in 2 years, shuts down new markets. SoFi securitization rated AAA, 1st one in marketplace lending. Explanation on how SoFi achieved AAA rating for top layer. Citigroup declined support for Lending Club, of course. Income products is the real value added by marketplace lenders. Details on the Lending Club capital raise state , progress and plans. Competition for lenders leads to increase in interest rates. Great for investing in loans. Zopa’s new loan application API leads to 1st online retail partnership. Deloitte trashes all aspects of marketplace lending. RBNZ will not introduce new regulation for p2p lending. 14 ministries and regulators are setting up new rules for p2p. More details. Faircent integrates with government-backed legally binding e-Sign. The cutbacks are happening because privately held Avant, impacted by an abrupt negative turn in investor sentimenttoward online consumer lenders of all stripes, is scrapping plans to expand its product offerings into credit cards and refinanced auto loans this year. Avant also is putting on hold plans to expand its core online consumer loan product to Australia. Instead, the company will focus on achieving profitability as soon as possible via its well-established online consumer lending platforms in the U.S. and the U.K., CEO Al Goldstein confirmed yesterday. “Our biggest competitor just fell down, and the whole space is at an inflection point,” Goldstein said in an interview. The firm, which has grown in less than four years to employ 800, mostly in Chicago, still will boost revenue by 50 percent to 100 percent this year, Goldstein said. It remains on pace to achieve profitability next year using traditional accounting standards, he said. But, to do that, it needed to rein in expenses on new products, which can create near-term losses, he said. Its loan volume of $514 million in the first quarter was down 27 percent from the fourth quarter of 2015, the first time Avant’s volume had fallen sequentially since its inception, the Wall Street Journal reported last month. Comment: same news as above, just another comment on it. Yesterday we made the difficult decision to eliminate a small number of positions across our organization. We made this move to align our resources with a narrowed focus on our core personal loan product. Streamlined focus sets us up for strong near term profitability given the challenges the market has faced. We’re at an inflection point as an industry, and we believe Avant will emerge the leader of Credit 2.0: a more refined, adaptable and sustainable business model that aligns consumer, investor and regulatory interests for good. SoFi received a triple-A rating from Moody’s Investors Service on its most recent securitization bond, a $380 million offering backed by online student loans completed Friday. It was the first offering by a startup online lender to get Moody’s top rating, which is common for established lenders. At the same time, however, the funding costs have dropped for SoFi and other online student lenders in recent weeks after a rocky start to the year. These firms, including Earnest Inc. and CommonBond Inc., have been selling bonds to investors via securitization, which divides loans up into more-risky and less-risky baskets. The least-risky bonds of SoFi’s new deal commanded a yield of 0.8 percentage points above benchmark rates, down from 2 percentage points above those rates in a deal earlier this year, according to data from online lending tracker PeerIQ. The deal featured 38 investors, including from Europe and Asia, with about a third of them new investors versus prior deals. Early paybacks have been a concern for online student lenders that focus on top-college graduates, who tend to pay down their loans earlier than most borrowers, and are apt to seek to refinance loans at even lower rates. When people pay off their loans before they’re due, it reduces the interest payouts some investors receive. That pressure may be lessening. A report on the new SoFi deal by ratings firm DBRS—which also rated the deal triple-A—forecasted early payment rates of between 2.5% and 15%, down from as much as 25% on prior deals. Moody’s expects very few online student borrowers not to repay: It forecast only 1.6% of the loans underlying the bond to default per year. As of March 31, SoFi has written off only $1.8 million of the nearly $6 billion in refinanced student loans extended since its 2011 inception, according to the ratings firm. SoFi’s bond offering was led by Goldman Sachs Group Inc. Unlike prior SoFi securitizations, the latest deal utilizes a sequential pay rather than a pro-rata structure. Furthermore, SoFi utilized the A2A/A2B time tranching structure to accommodate the needs for duration matching for various senior noteholders. The key difference is that in sequential pay structures no principal is allocated to the subordinate classes until senior noteholders are paid in full. In contrast, pro-rata structures pay each tranche a proportionate share of collateral cashflow through the life of the deal. The pro-rata structure maintains the leverage of the transaction since the the percentages of credit enhancement available to various tranches will be constant. A pro-rata structure offers no greater protection to the senior classes than to junior pieces. Moreover, it also offers no additional protection for senior noteholders if the collateral underperforms against initial expectation. The sequential pay structure in SoFi 2016-B allows for trapping excess spread during the first six months and thereafter under certain collateral performance conditions. Specifically, the Class A notes (A1, A2A, and A2B) enter into full turbo principal amortization if a set of pre-defined performance triggers are breached or if credit enhancement deteriorates. The subordinate Class B will be locked out if the rolling six-month average deferment or forbearance rate is greater than 8.0%, or the cumulative default rate exceeds 4.0% of the initial pool balance. SoFi 2016-B permits structural flexibility to insulate senior noteholders from unexpected collateral performance issues. This deal shows that MPL securitization is growing in sophistication to meet the investors’ demands for appropriate risk and reward trade-off. The Class A notes have 16.92% of over-collateralization on closing. Given the baseline cumulative loss assumption of 4.25% (DBRS), a AAA break-even stress analysis shows 5.47x protection on the A tranche and 4.68x for the B tranche. Furthermore, DBRS is also more conservative on prepayment speeds. The deal can withstand approximately 23% in cumulative losses – a substantial amount of protection given base case assumptions. Borrowers in SoFi 2016-B have higher incomes and monthly cashflows than previous deals. SoFi has established a pattern of repeat, standardized, programmatic issuance. SoFi 2016-B is SoFi’s ninth securitization–a remarkable level of pace and consistency for a company that started operations in 2011. SoFi has broadened its brand in the global ABS market. The AAA rating will expand the eligible universe of ABS investors to ratings-sensitive pensions and endowments (many of which have limitations on purchasing whole loans). The deal included 38 investors across Europe and Asia and a third of investors are new participants. We note that Moody’s cumulative loss assumption is 4.9% vs. 4.25%–a significant variance for high quality student loan paper reflecting the need for more data and analytics. We believe platforms (marketplace, balance-sheet, or hybrid) that can efficiently transform loans into securities and convey risk into the capital markets will substantially de-risk their funding objectives. Citigroup told US regulators last week it was not willing to support troubled marketplace lender Lending Club after its CEO stepped down following a botched sale of loans. In a May 12 memo seen by IFR, Citigroup said it had declined a request from Jefferies, an investment bank, to back Lending Club after CEO Renaud Laplanche resigned three days earlier. “Jefferies has requested that Citi be supportive of Lending Club in order to calm the markets,” said the memo, which further said the bank was temporarily freezing exposure to online lenders. “While Citi believes that overall due diligence and lending quality of Lending Club is good, it is … investigating the situation and is not yet prepared to do this,” it said. It was not specifically clear from the memo, which recorded the minutes of a call with the Office of the Comptroller of the Currency, a US banking regulator, what kind of support Jefferies was seeking from Citigroup. But three sources have told IFR that Lending Club is in talks with banks, hedge funds, money managers and mutual funds about possible financial support. Three sources have told IFR that one idea under discussion is for institutional investors to buy Lending Club loans in exchange for an equity stake in the company. Jefferies has even been engaged as an advisor to Lending Club specifically to seek third-party loan funding, according to another source familiar with the situation. Small business funding platform Bizfi enjoyed a record first quarter, with $144 million of financing flowing to 3,605 small businesses. The origination record represents a YOY 49 percent increase. Since its 2005 debut, Bizfi and its proprietary marketplace and funding technologies have provided more than $1.6 billion in funding to more than 29,000 businesses across the United States. It has integrated with 15 funding partners including Kabbage, Funding Circle, and Bluevine and has offline relationships with an additional 30. The Lending Club situation is similar to the American Express (NYSE:AXP) Scandal in 1963 and the emergence of Warren Buffett. AmEx got wrapped in a fraud totaling $175 Million and when the news of the scandal broke its share price halved. But Warren Buffett put most of his cash into the AmEx stocks . His view was based on an Independent research analysis on the ‘Brand AmEx’. Within a year, the stock prices rose over 40%. It is important to realize that this crisis does not hurt the franchise the company has built in the eyes of its borrowers. As per latest PWC reports, the P2P Lending market is expected to reach $150 Billion by 2025. So one cannot write off LC, which has been the strongest player in this industry. At least the borrowers would continue to use the P2P platform to reap the benefits. Lending Club might be a promising Investment, if one is looking for a contrarian play. Banks and nonbanks have other distinct challenges to overcome as they compete in the fintech space. As illustrated in the 2015 Small Business Credit Survey — published by seven of the Federal Reserve banks — one of fintech’s biggest strengths is providing credit to microbusinesses and small businesses with less than $1 million in revenue. But according to the survey, satisfaction ratings among many online small business loan customers are low given the less-than-favorable repayment terms and interest rates charged for higher-risk loans. But business customers were also critical of banks’ cumbersome application processes, and how long it took banks to reach a credit decision. A friend who recently started his own business couldn’t obtain a mortgage from three banks. I suggested he try marketplace lending platforms like SoFi to take advantage of the ongoing innovation in fintech. However, SoFi turned him down, as well, because it abides by the same underwriting rules as traditional banks. Like the banks, SoFi sells their mortgage loans to Fannie Mae. On the surface this is counterintuitive to the firm’s “Don’t bank, SoFi” slogan; but in reality, there is already a bank behind every online lending platform. The issue is the cost of funding. Around the world, the demand for income products is actually broad-based and an important secular trend driven by aging demographics. As a point of reference, the global fixed income market is about 100 trillion dollars, of which the United States comprises one-third. The platforms today are experiencing the opposite issue. At LendIt, Prosper’s president Ron Suber voiced that Citigroup over-estimated the risk of the loans and hence demanded a higher interest rate spread. To reach a new investor base, there needs to be new products that work well with the broader distribution channels, such as independent financial advisors and other retail channels. Successful consumer products, such as Apple, have to be extremely simple. In this case, the return and risk profile need to be clearly explained. I call it “clean beta.” With securitization, investors have little idea if the underlying pool can support all the AA bonds issued. In contrast, each “clean beta” portfolio holds loans from the same borrower type and quality, possibly from different originators. This level of transparency enables a clear understanding of the expected return and default risk. also applaud all the efforts to make this space more fluid, transparent and accessible, for instance: the secondary market exchange by Orchard, the loan selection guidance by NSR Invest and LendingRobot, as well as several ETFs backed by marketplace loans that are under SEC review. The stock of LendingClub Corp (NYSE:LC) is a huge mover as it increased 7.84% or $0.29 on May 20, hitting $3.99. The institutional sentiment increased to 2.24 in Q4 2015. Its up 1.11, from 1.13 in 2015Q3. The ratio increased, as 16 funds sold all LendingClub Corp shares owned while 35 reduced positions. 49 funds bought stakes while 65 increased positions. They now own 309.52 million shares or 17.22% more from 264.05 million shares in 2015Q3. LendingClub has tapped Jefferies to reach out to new potential investors to sell loans directly, including alternative asset managers such as Apollo Global Management LLC , Fortress Investment Group LLC and J.C. Flowers & Co, the people said this week. Earlier this month, New Business Funders entered the alternative business lending space, launching a solution to help startups access financing when they can’t get a bank loan. Global Supply chain finance’s (SCF’s) original value proposition is to facilitate access to finance by arbitraging an “anchor” buyer’s lower funding costs on selected suppliers’ behalf. This principle of SCF would lead one to believe that almost all existing SCF programs are running with strong credit-rated buyers. In this report, Aite Group uncovers that, contrary to general expectation, a significant portion of current SCF programs are anchored around sub-investment grade companies. The initial model of bank-centric SCF platforms, in which banks were both originators and funders, has now morphed into a model with a variety of specialized participants that cover a wider spectrum of necessities and offer more tailored solutions. The SCF market is therefore morphing into more articulated schemes, with various models available to service the needs of corporate clients. New entrants, including P2P lenders, dynamic discounters, and early-payment marketplaces help buyers and suppliers efficiently exchange purchase orders and invoices, and accelerate cash transfers using innovative technology. Private investors, financial institutions, or even buyers are able to provide funding for these new solutions as the asset class opens up to nonbank lenders. These players are having the most impact financing SMEs, challenging the banking industry by helping those companies and increasing working capital efficiencies. I strongly doubt that the second wave of companies will be able to produce significantly better scoring models, as the market leaders have worked on theirs for almost 10 years. To overcome the leaders with brute force, i.e. marketing budget, will also be difficult: Lending Club has more than $600 million in its accounts, Prosper has more than $100 million and SoFi, less than a year ago, attracted $1 billion in venture capital investments. I regularly communicate with a large number of new online lending platforms, and more and more often I hear the idea that big players are missing on some niches, whereas focusing on these niches enables one to build a stable and profitable business. But we should not delude ourselves, as there is a serious problem with this approach: The most promising niches (large margin, low competition from banks/state, low credit risk) have already been divided among the existing players; these are consumer and mortgage loans, small business loans, student loans, factoring. Of course, you can try to take a new, narrow niche, but will you be able to define it and “fence” it well enough to create a really strong competitive advantage? Even if it is successful, it will hardly be big enough to set up a multi-billion dollar company. Nevertheless, it may be sufficient to create a medium-sized family business, which is a good idea, but not the case for venture capital. An excellent article by Frank Rotman elaborates on the points made above. Competition for lenders inevitably leads to an increase in interest rates. This is great news for those who invest in loans. But what happens if there are no competitors yet? There are other markets apart from the American and British markets: In other regions, alternative financing is not so highly developed yet. The idea of transferring a business model in another country is good, as such, but there are also some pitfalls. The lending industry is extremely different between countries, especially if we compare, for example, the United States and continental Europe. LendInvest Capital, the fund management and advisory division of UK’s online lender LendInvest, announced on Friday that former Scotiabank Fund distributor, Jesse Mosebye, has joined its growing team. During his time at Scotiabank, Mosebye was responsible for building investor relationships for the brokerager’s hedge fund and asset management clients. LendInvest stated that he will work closely with associate director, Carl Giannotta, to broaden the team’s investor relationships among larger institutions including hedge funds, FoHFs and asset managers. Since 2008, LendInvest Capital, formerly Montello, has specializes in direct and secured real estate lending. It is currently manages over £85 million in two discretionary funds on behalf of institutional investors, banks, family offices and private clients throughout the UK, Europe and Asia. Zopa will be the first finance partner for UNSHACKLED.com providing 24-month loans to its consumers if they choose to finance the phone rather than paying in full. This is Zopa’s first online retail partnership and allows the customers to complete their phone financing, purchase the phone and SIM card in one simple process. The service provided by Zopa for Unshackled.com is Zopa’s first retail point of sale using a newly developed loan application service. This API is already powering the Zopa Car ReFi product and is in beta with a number of consumer finance partners. In future, this technology will be extended to power more partnerships with like-minded partners, offering Zopa’s unique products across industries. Loan rates will start at 9% APR and will be based on an individual’s credit rating scored by Zopa. But the 44-page Deloitte report proceeds to ruthlessly set out why marketplace lenders hadn’t reinvented the wheel when it comes to lending, why they will struggle to grow, and why banks not only have a pricing advantage over them but could copy what they’re doing pretty quickly if they chose to. The Reserve Bank says it has no plans to introduce new regulations in response to the digital disruption of the banking sector by the likes of peer-to-peer (P2P) lenders, but will monitor developments and assess whether a regulatory response is required in the future. Watson notes “disruptors engaging in lending practices” are regulated by the Financial Markets Authority (FMA) and Commerce Commission, and “disruptors that participate in a payment system” are subject to the Reserve Bank’s information gathering powers under Part 5B of the Reserve Bank of New Zealand Act. “However, there are currently no coordinated prudential regulations of ‘disruptor’ entrants to the banking system that address the risk that a systemic failure of these entities could pose for the financial system,” says Watson. P2P lenders licensed by the FMA such as LendMe are targeting high loan to value ratio residential mortgage lending and seeking bank funders and potentially shareholders. Bernard Hodgetts, the head of the Reserve Bank’s macro financial department, told interest.co.nz a year ago the Reserve Bank would keep an eye on this activity. China’s central bank is studying ways of collecting and distributing data on how funds raised online are being used because of the risks posed, the director of its statistics department Sheng Song said in an essay released on Saturday. The Chinese government has approved a plan to clean up the country’s online financial sector, according to people with direct knowledge of the matter, including rules to limit the activities of peer-to-peer (P2P) lending firms, the source of recent fraud scandals. The plan, drafted by China’s central bank, follows a video-conference in the middle of last month with 14 ministries and regulators organized by the State Council, the country’s Cabinet, which approved the plan document seen by the sources. It outlines stricter rules for P2P platforms, where lending quadrupled last year to 440 billion yuan (US$67 billion), according to Citigroup research, forbidding them from holding clients’ capital in-house. Instead, client funds must be deposited with a qualified third-party banking institution and kept separate from a P2P platform’s own corporate funds. Firms must also set up “firewalls” to manage transactions with affiliates. The government is also calling for the establishment of a centralized registration system for Internet financial products and a unified platform for Internet bank accounts. China’s peer-to-peer (P2P) lending sector has witnessed expansion in recent years, despite periodic clampdowns on excessive risk. This has led to on-again, off-again surges in activity in this shadow banking sector. 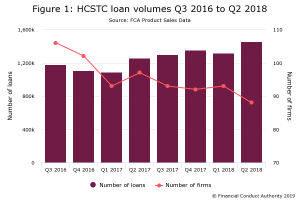 In some cases, criminal activity has highlighted the perils of borrowing or lending through this industry, but the loan availability for borrowers and higher interest rates available to lenders have continued to render this business attractive. The P2P lending sector began to increase in 2011, numbering 2,600 platforms by the end of 2015, but has experienced stops and starts due to issues in controlling for risk. It is quite significant that about 1,000 businesses have closed in the past year. Risk has been the main focus of both regulation and research, with attempts to understand and control for credit risk, liquidity risk, operational risk, and market risk. In terms of credit risk, data mining may provide a way to identify better borrowers, but this depends on availability and dimensions of data. Ratings models segment loans into various grades based on credit risk, although these models may fail to address characteristics of individual loans at a micro level. Standards to improve viability of P2P platforms such as transparency, requirement of loan loss provisions, and safety requirements are necessary to modernize and regulate the sector. The P2P lending sector remains popular due to funding shortages for micro- and small and medium-sized enterprises, and for lenders, for its relatively high rate of return. P2P sector interest rates reflect those obtained on the curb market (i.e., outside of the formal banking system) and are higher than those associated with bank loans, weighing in on average at 15-18 percent. As on the curb market, many borrowers lack credit history of collateral. Participating in the P2P sector allows borrowers to obtain loans where they otherwise would not. Comment: we already covered these news last week. Just a reminder perhaps. Online peer-to-peer (P2P) lending marketplace i2ifunding has raised Rs 2 crore (around $300,000) in angel funding from a group of angel investors. Two angel investors from Mumbai and one Indian investor based in Japan have participated in this round, Vaibhav Kumar Pandey, co-founder, i2ifunding, told Techcircle.in. The funds will be used for towards technology expansion and also towards increasing its presence geographically. HSBC Holdings PLC (NYSE:HSBC) plans to almost halve its branch network in India from 50 to 26, in a bid to realign with digital realities of the present day world. The move comes after the annual retail banking and wealth management business review, that reveals customers are increasingly pursuing digital banking over the branch banking, as per Reuters. Reduced branch network would also restrict the bank’s presence from 29 to 14 cities. Peer to peer lending website Faircent.com has announced the launch of e-Sign facility, in partnership with eMudhra on Monday. e-Sign is part of the India stack conceptualized by the current government under the Digital India initiative. This initiative is supposed to simplify the lending process for customers, which is the key for success for P2P lenders. e-Sign would allow a seamless and paper-less process of signing a legally-binding loan agreement between the borrowers and lenders online . It will also help Faircent in enhancing its operational efficiency by reducing human intervention, resulting in lesser turnaround time thereby faster loan disbursal. The e-Sign facility is only available for borrowers holding an Aadhar card with access to the mobile registered with the Aadhar card. This facility has been launched in partnership with eMudhra a Certifying Authority licensed by Controller of Certifying Authorities, under Government of India.